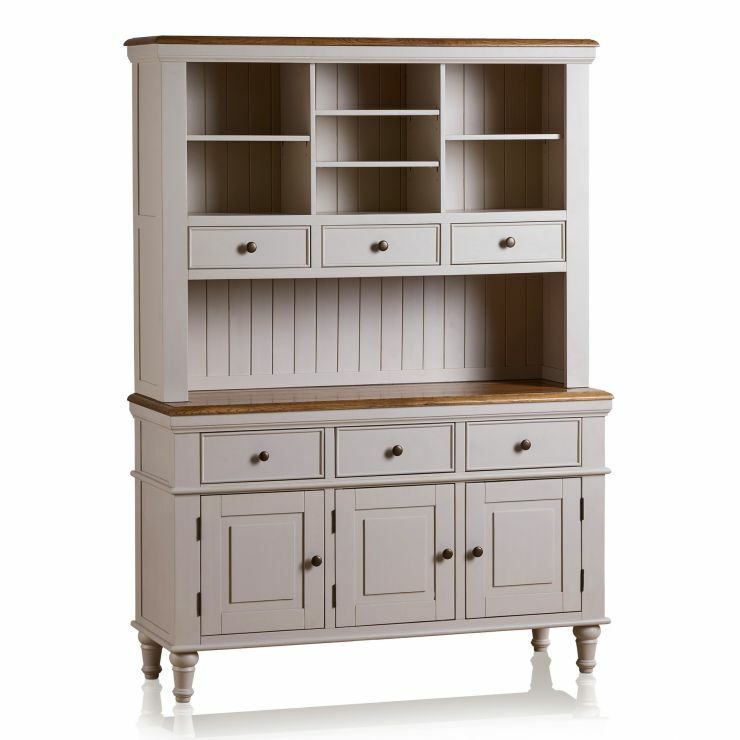 Perfect for creating additional storage and display space in your dining room, our Shay large dresser is a versatile piece of furniture in any home. 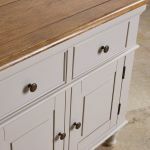 Made from only the highest grade of painted solid hardwood, it is built to last, and finished with classic details for a simple and elegant look. This dresser has a body is painted in a stunning shade of almond grey, which perfectly coordinates with the rustic solid oak top. 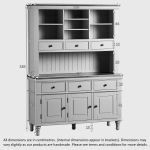 Cupboards and drawers are finished with striking dark metal hardware, and the drawers have real dovetail joints which add to the durability and looks. 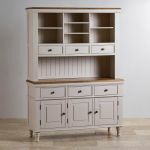 The thick hardwood shelves will safely support your belongings for years to come, and the beautiful turned legs and delicate top cornices complete this impressive piece. 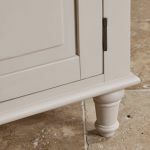 Shop our full Shay collection today!